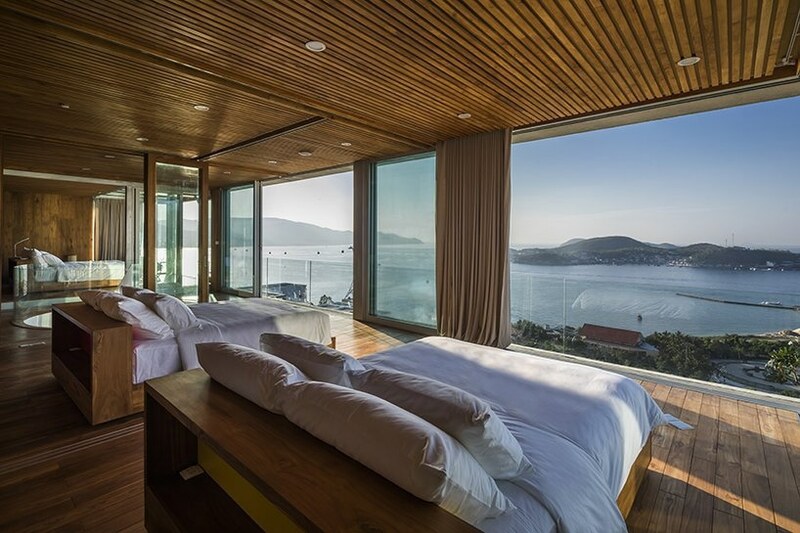 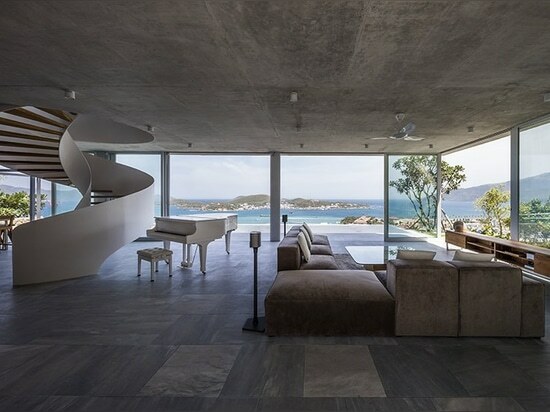 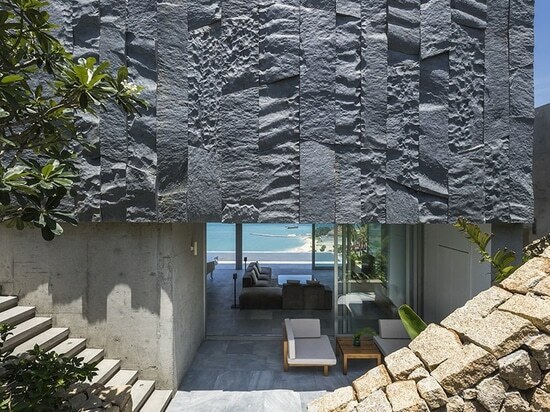 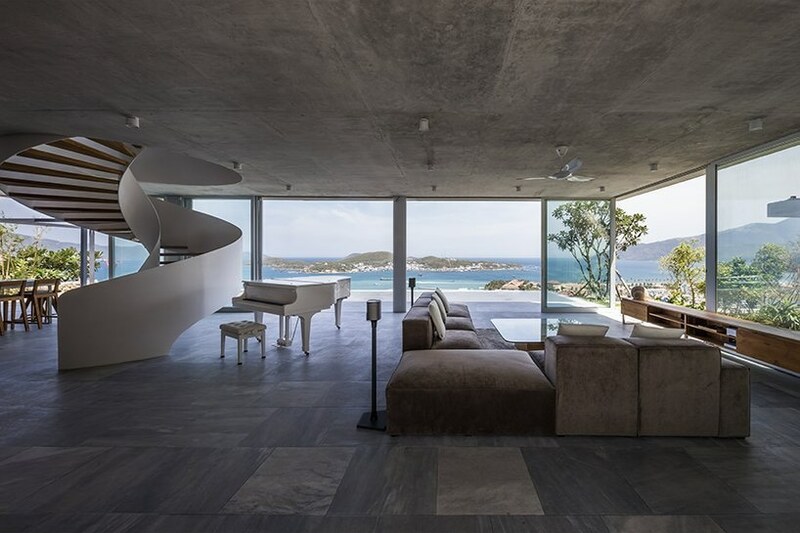 the stone house by MM++ architects is located in nha trang, a sea side city of vietnam’s south east coast. 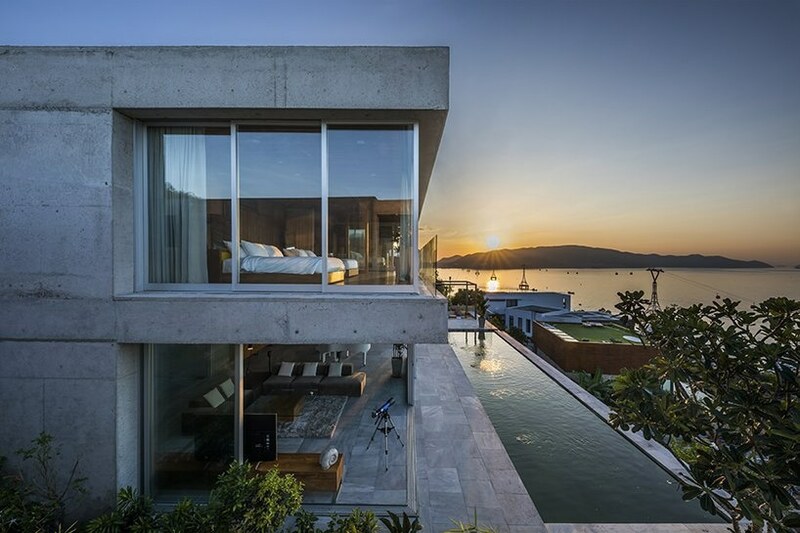 carved into the hill, the vacation villa has a privileged location as the site of 500 sqm boasts a unique ocean view overlooking the bay and mountains in the background. 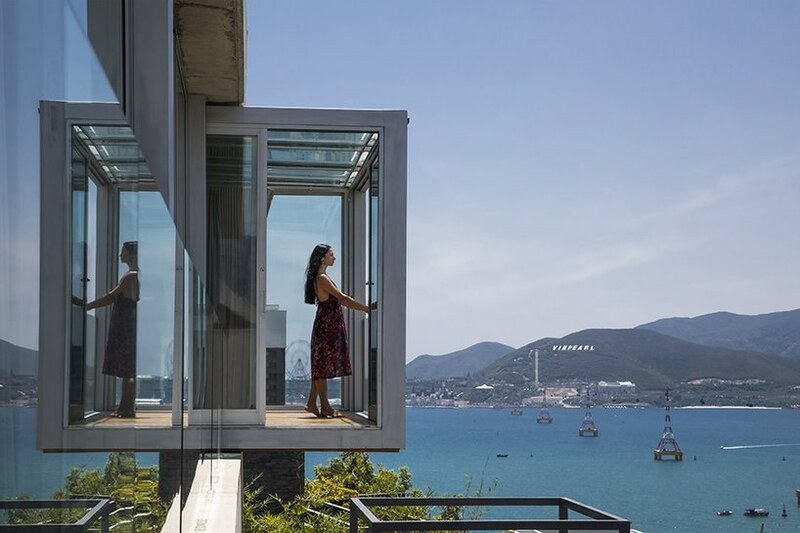 given the impressive surroundings, the main goal of the architect’s design was to find ways to optimize this viewing experience. 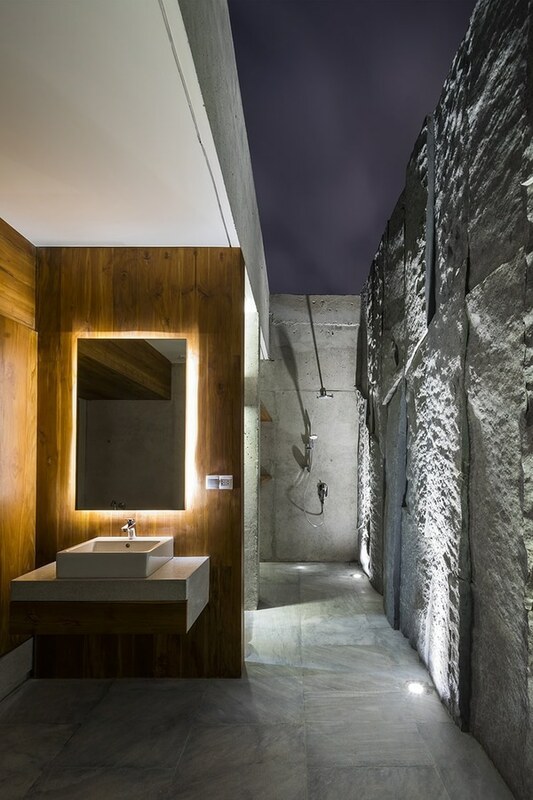 the resulting design by the architect focuses on simplicity of construction and the use of raw, natural materials. 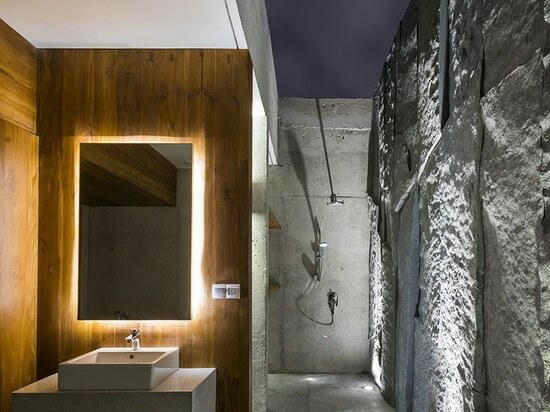 in contrast to the brutalist influences of the concrete exterior, the interior centers on careful craftsmanship and utilizes timber to create warmth. 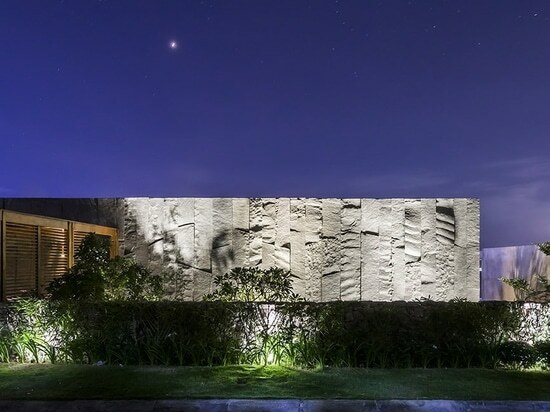 the villa is accessed from the back street and this façade consists of coarsely carved sculptural stones in reference to the rocky environment and provides privacy from the public. 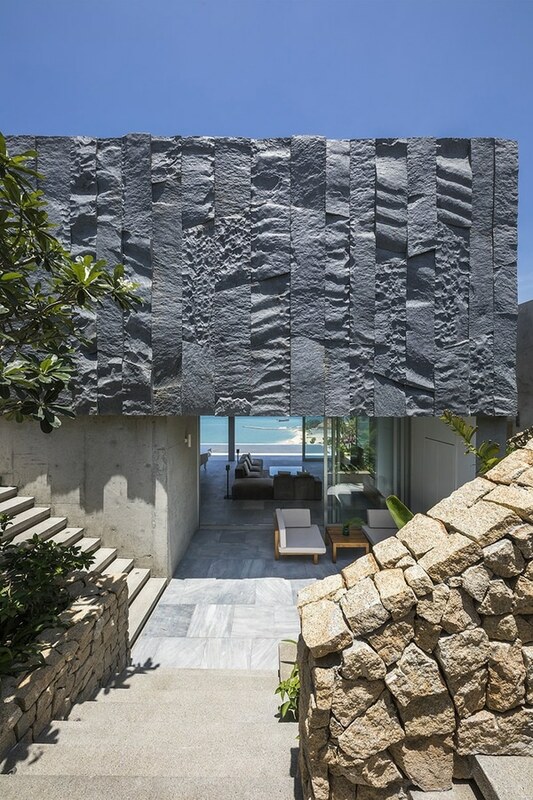 this also contrasts with the ocean facing façade, which orients the villa towards the sea and directs people to the remarkable view. 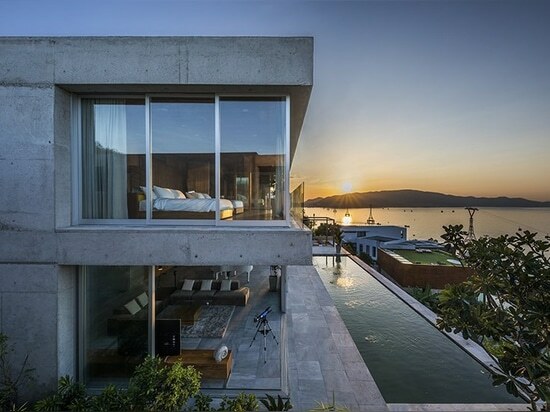 kitchen and service spaces are kept in the back of the villa, allowing the panoramic ocean view to be unobstructed. 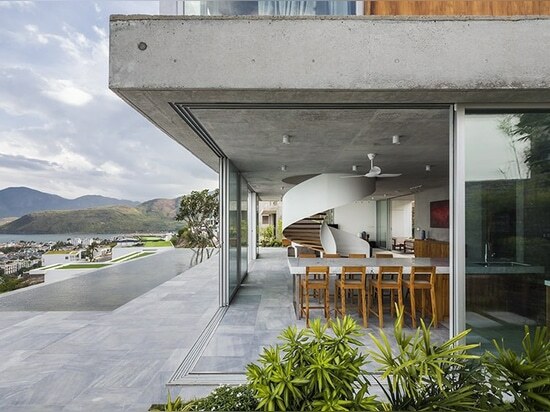 with the large windows opened on the front façade, the indoor living space continues to the outdoors. 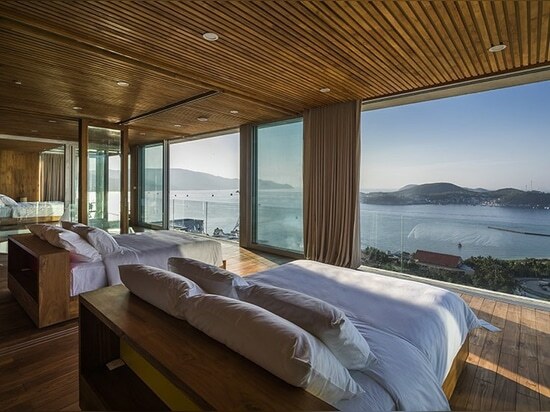 the master bedroom has been designed with a motorized retractable glass loggia. 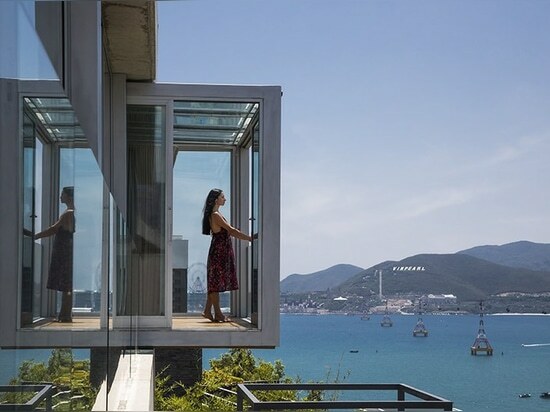 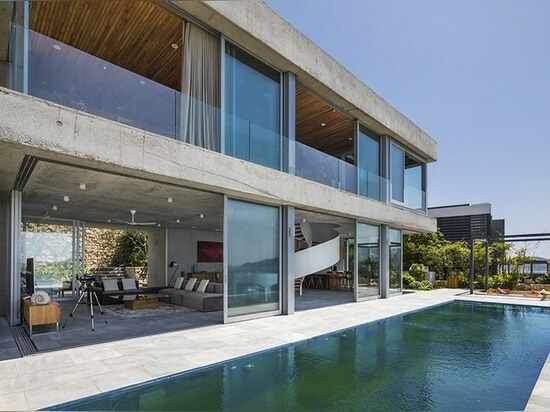 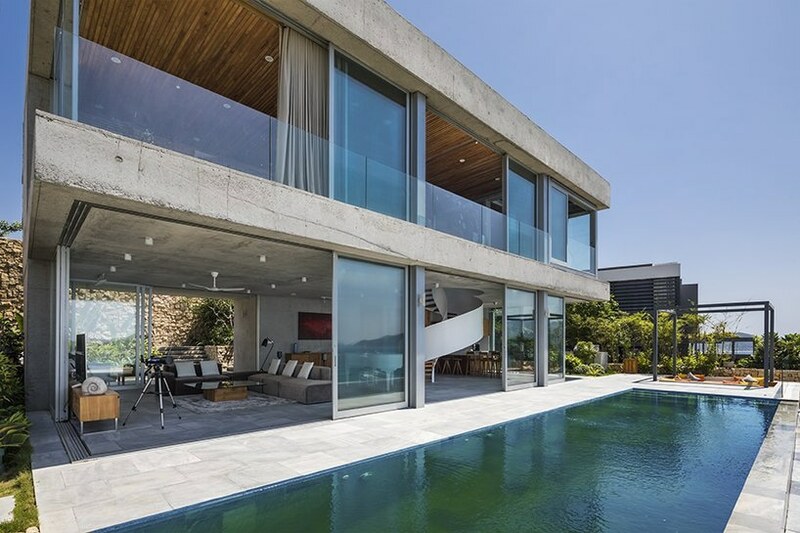 in the extended position, the house disappears behind and a complete view of the sea can be experienced. 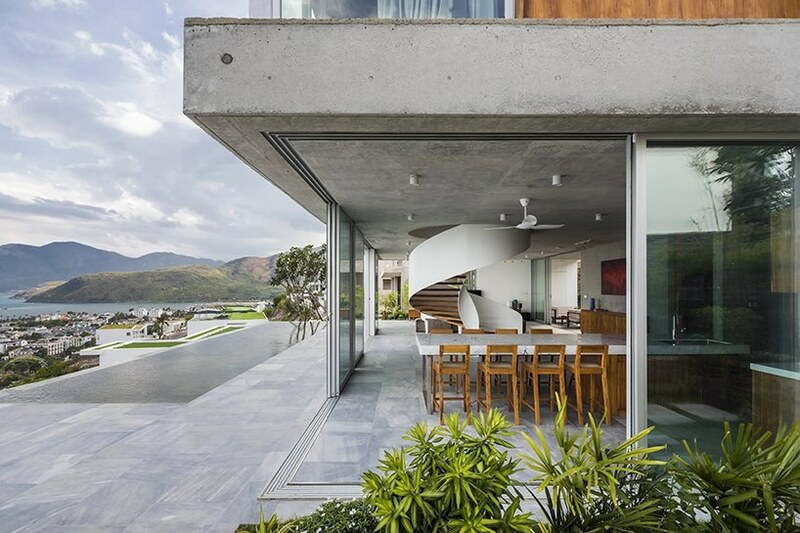 the design by MM++ architects uses functional elements to create a strong impression whilst also creating a house that enjoys the beautiful scenery from every corner.